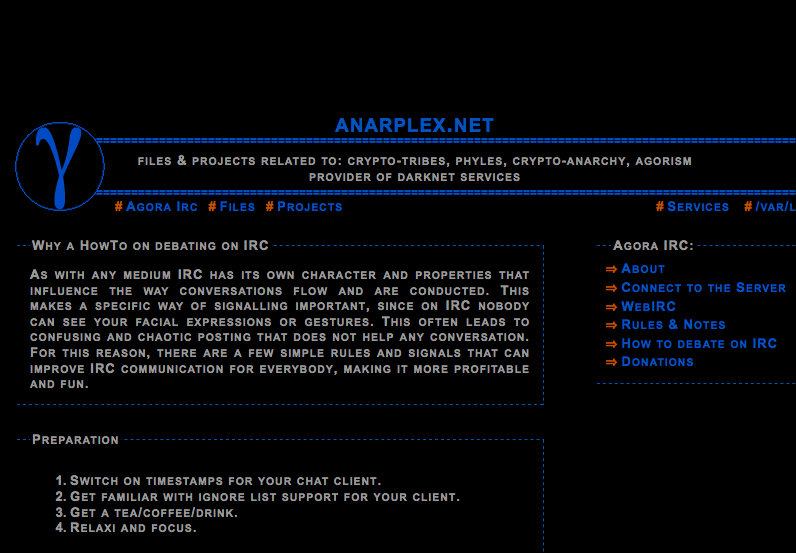 This site is dedicated to libertarian individuals who seek to host an IRC Chat Client. Although the chat client does not work ive tried to get in they have some files that are pretty interesting. 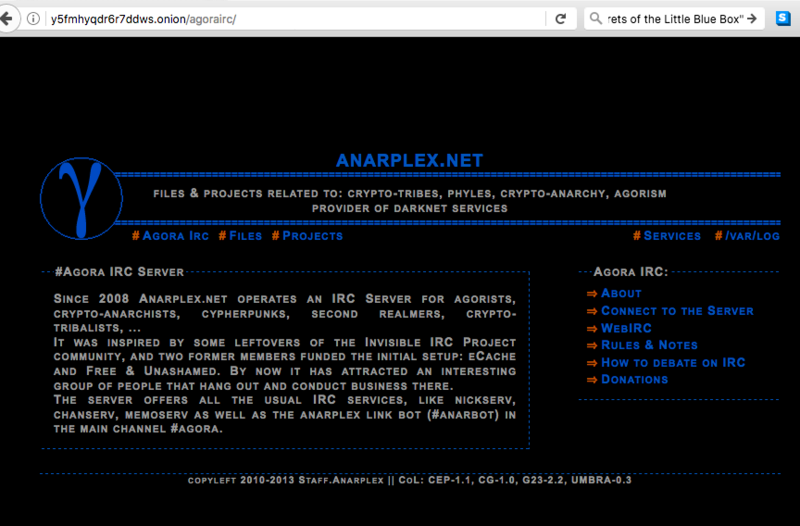 They do have a clearnet site called anrplex.net. If you are an Agorist, Crypto-Tribes, Phyles, or Crypto-Anarcist. You may like their pdf files. But besides that I wished their chat service worked but I have a chat sever here. We have more users signing up everyday and it is only good if you go on and engage.